We’ve just hit a critical mass of hundreds of responses to our 2016 CAD Survey, so it’s time to find out how everyone voted. We’ve done CAD Surveys in 2013 and 2015, so we’ll be able to see a little market trending here too. 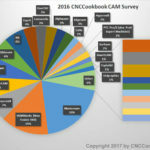 As with our CAM Software Survey, we’ll be doing one every year from now on–the market is just changing too quickly to look only every other year. 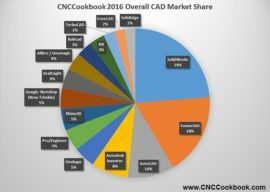 Also like the CAM Survey, we added more questions this year so we can give you an even more in-depth look at the CAD Software world for CNC’ers. Pro: These are the more expensive packages like Solidworks. Mid: These packages are charged for but are typically not as expensive as the Pro packages. Free: There’s always a market for Free, and these tools get better every year. 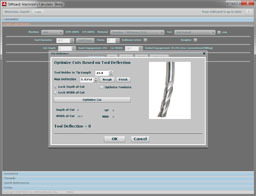 CAM: Another way to save money is to use the CAD that comes with many CAM packages. In this first installment, we will be looking primarily at Market Share, both in terms of which packages you’re using in Production, and which packages you’ve tried. The #1 player remains SolidWorks, but their total share has shrunk a bit from 22.7% to 19.6%. Autodesk is putting in a strong showing. Last year the controlled #2 and #3 with Fusion 360 being an up-and-comer at #6. This year they have a solid hold on #2, #3, and #4 with Fusion 360 having jumped all the way from #6 to #2. 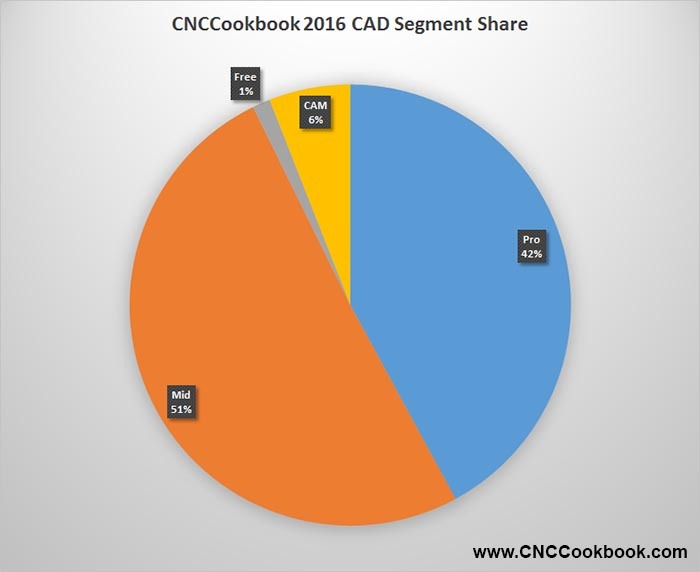 Fusion 360 has an overall 14.6% share versus Solidworks at 19.6%. AutoCAD and Inventor have both shrunk slightly. AutoCAD went from 9.8% to 8.3% and Inventor went from 8.8% to 6.7%. Onshape wasn’t even listed last year and they’ve rocketed into the #5 position with a 5% share. 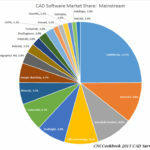 Taken together with Fusion 360, Cloud CAD accounts for 22% of the overall market–still not enough to beat Solidworks, even combined, but very impressive after just 1 year. Pro/E is showing a big jump from 2% to 3.9% in this survey. Rhino3D is off a bit from 5.3% in 2015 to 3.9% this year. Many of the small cheap players like Alibre/Geomagic and Draftsight have lost a lot of share. Things are pretty chaotic when viewed this way. If Market Share represents packages in production, packages tried is closer to being “Mind Share.” If you’ve tried a package, you’re aware of it and it has some mind share. 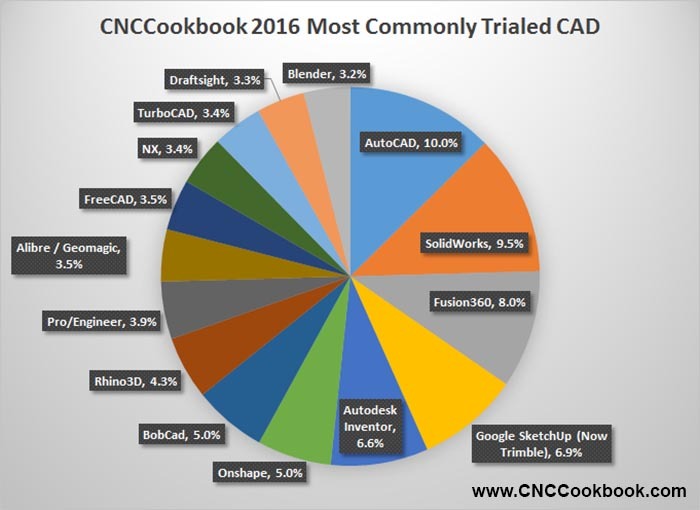 Number one with a 70% conversion from Trial to Purchase was SolidWorks followed by Fusion 360 at 62%. These two were far above the rest of the pack which starts with Draftsight at 37% and dwindles to Blender at 10%. It seems clear that there must be some factors present in packages with low adoption that soured prospective customers during the trial and reduced their likelihood of moving forward. Perhaps the product was hard to learn, lacked features that were important to the user, or just seemed too expensive. We hope to discover why adoption is poorer on some of the other packages in our installment that discusses the Strengths and Weaknesses of the individual packages as identified by their users. Customers tried an average of 2.9 CAD packages before selecting one for purchase, so they didn’t just grab the first thing that came along. I don’t blame them. Learning a new CAD package is not easy–you want to make sure the one you settle on is right for you. Plan to invest enough time to thoroughly evaluate at least 3 packages if you want to do as good a job as our audience did on average. Mid is the largest, followed by Pro, followed by CAM, and then Free is very small. Note that these labels are an over-simplification. “Pro” is really more closely “High End” or more expensive software. And Fusion360 or Onshape, both in the “Mid” segment, can be had for “Free”. The “CAM” segment has been confusing in the past. It simply reflects those who choose to use the CAD that is built in to their CAM software rather than a purpose-built CAD package. 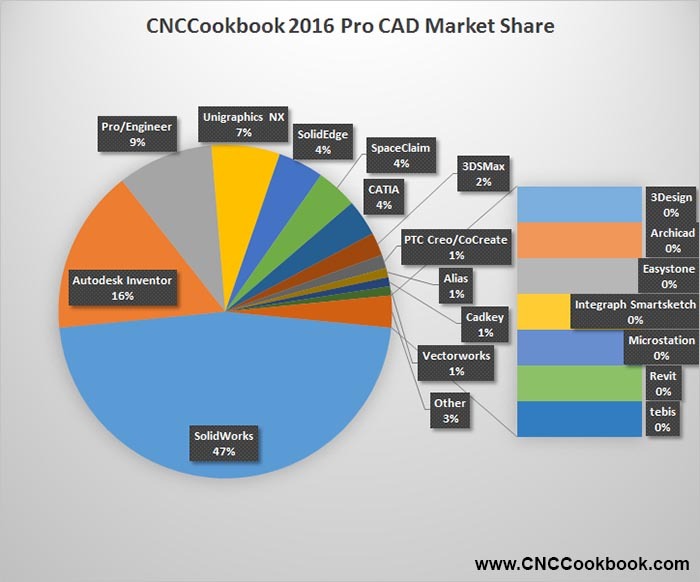 The Pro Segment is somewhat more crowded than it had been, and it looks like SolidWorks has lost some share. We saw some slight loss of share for them overall up above, so lion’s share of the reduction is due to moving Autodesk Inventor from the Mid to the Pro category. This was done because I had many many requests to do so, and I agree, it makes more sense. It’s also due to Pro/E picking up share. Unigraphics NX has lost a bit of share and the smaller players continue to jockey for position–not much more to report there. There’ve been changes since last year that make it a little hard to compare. We moved Autodesk Inventor to the Pro Segment and Sketchup moved from the Free to here. Perhaps the biggest news is how much share the Cloud CAD packages (Onshape and Fusion 360) have taken in an extremely short time span. Fusion 360 is now the number one choice having edged out its sibling, AutoCAD, from that position and making it #2. 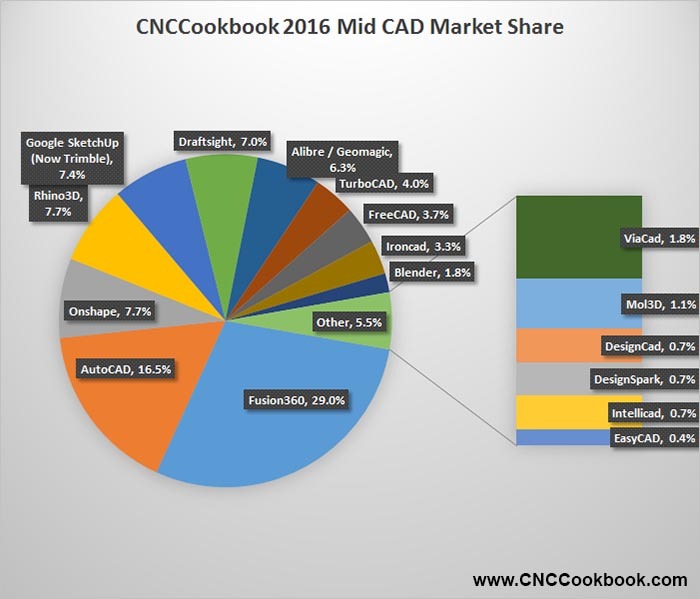 Last Year Fusion 360 had about half as much share and was the #4 choice. Onshape didn’t show up at all and has achieved the #3 position. This was very much at the expense of Rhino3D, but an even bigger loser was Alibre/Geomagic. It’s main claim to fame was that it was the “cheap parametric” (e.g. the cheap Solidworks alternative) CAD, but both Fusion 360 and Onshape offer parametric capability and more. Not much else to report at the lower market share end of this segment, although TurboCAD actually managed to grab a little share. This year, the Free Segment was a much smaller part. 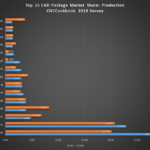 Only 1% of respondents reported using the Free packages, and the packages were 123D Design, 123D Make, Emachineshop, HeeksCAD, NanoCAD, and OpenSCAD. Usage was even across all those packages. This is no doubt due to the fact that Onshape and Fusion 360 can be had in free versions. The CAM Segment consists of folks who choose to use the CAD built into their CAM rather than using a purpose-built CAD package. 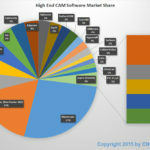 To be clear, it is not CAM market share–we covered that recently in our CAM survey series. BobCAD remains in the lead for this segment, but there are a number of other changes. OneCNC, which had been #2 is no longer showing up. 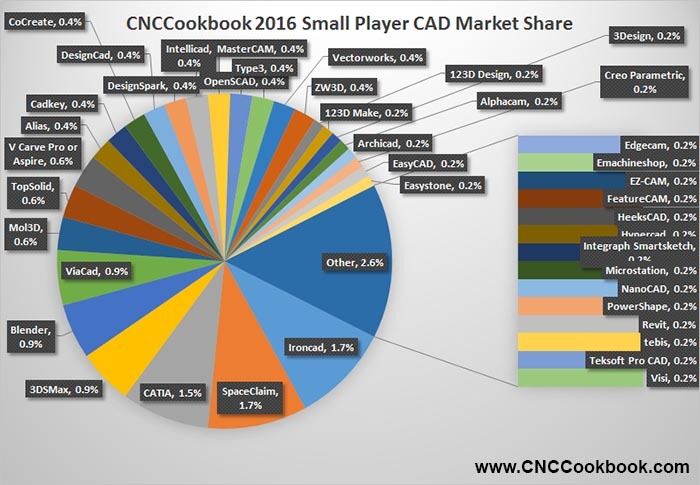 Mastercam has fallen from #3 to #4 while VCarve has moved up to #3 from nowhere in 2015. 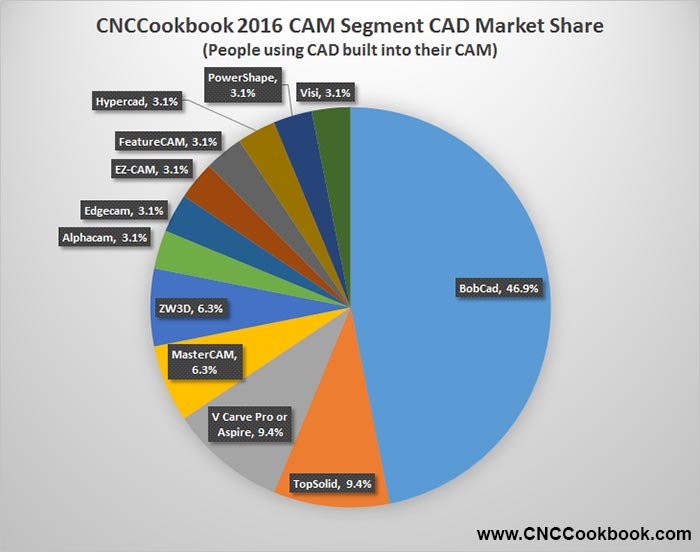 Most folks used dedicated CAD, and this chart doesn’t reflect CAM market share, so it’s hard to draw much conclusion from it other than that perhaps BobCad users are finding the CAD to be good enough to make a go without a separate package. 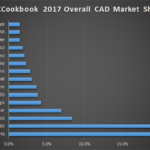 The CAD market shares have really changed over the course of the last year. In particular, the Cloud CAD packages have made a huge impact in the Mid-Market, and probably in the Pro market too judging from some loss of share here and there. This mirrors the effect the Cloud has had in many other markets. The introduction of Cloud alternatives always creates a great hue and cry where many try to explain why it’ll never work for their particular market. Meanwhile, the Cloud Vendors start soaking up customers steadily. It’s going to be interesting to watch this drama unfold in the CAD market too. There’s a lot more data to be crunched, so we’ll be doing a multi-part series to roll it all out. This first installment has been focused on market share and mind share. Make sure you don’t miss out on future installments by subscribing to our email newsletter below. We’ll make sure you get a weekly summary of our blog posts together with some valuable premium content that’s only available to our subscribers. 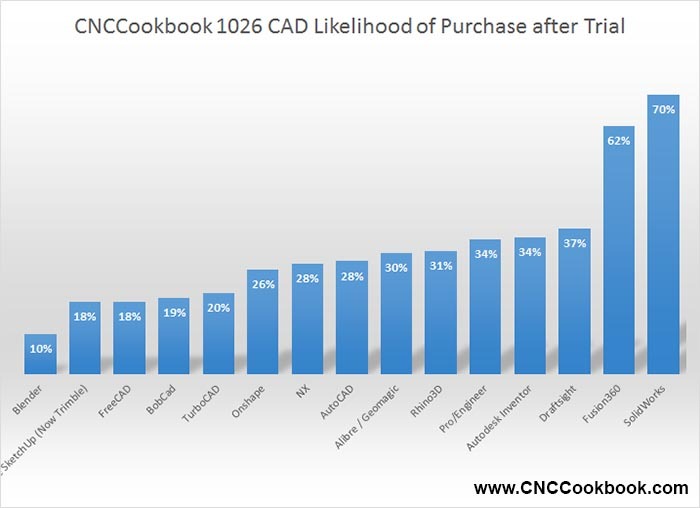 Part 2 in the series covers customer satisfaction ratings for the CAD packages. Think You Know Which CAM Packages Are Most Popular? Time to Find Out! As a BobCad user I can give some input on how I use it. At home I use Onshape to design my parts, and then import them into BobCad. I will use BobCads cad tools to design soft jaws for the part if needed. I have also used it to make some slight design changes. The lastest two versions now have some basic parametric modeling with a history tree. The sketches are not yet parametric, and can still feel a bit clunky. But I do find my self designing more basic parts with it now. I feel that Fusion 360 should be in the cad/cam list as well. 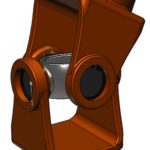 I just wanted to note that TopSolid is a fully featured standalone CAD system, which also has a powerful and tightly integrated CAM engine. It’s comparable to NX and Catia. Superior to both in some ways, and lacking in others, but overall it’s less expensive, not quite as refined, and includes some best-in-class features and improvements. You should include it in the “high end” category, instead of the “CAM” category. Our company has adopted it mainly for the CAM side, but you can’t get CAM without CAD in this case. Great data here Bob, how many survey participants did you have? I’m curious why you didn’t categorize FreeCAD as free. I don’t think there is even a paid option for it is there? Also, I would think the large majority of Sketchup and even DraftSight users are using the free versions. Wow, Teksoft ProCAD made the list! That old stuff stopped in 2006. Great survey, and interesting results. For next year (and I hope you make one next year) I would be really interested in seeing this based on market (country and/or continent). Another suggestion is to bundle Pro/E with Creo for better results, since they are the same but with a name change. Why don’t you include Cimatron in this list? Did the survey include participants from europe or did you only analyse the us market?